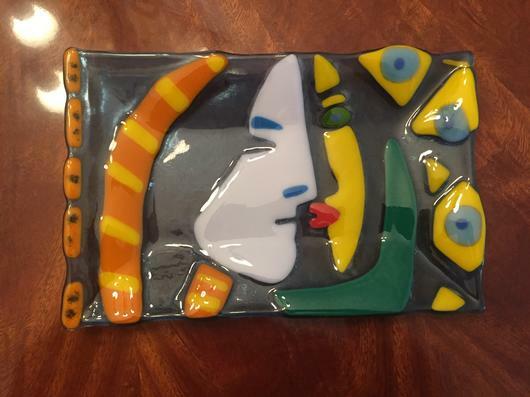 Picasso inspired, made with bullseye glass. Created a pattern then cut pices to fullfill the picture. Textured and slumped to a rectangle square dish.